The hotel was renovated in December 2014, and allows a pleasant stay in the heart of Rome, at attractive prices. The hotel is equipped with 11 renovated rooms with free wifi, air conditioning, orthopedic mattresses, sheets, towels, bathroom, mini bar, television and hairdryer. 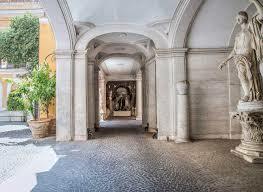 Ideal location in the center of Rome, close to all attractions. 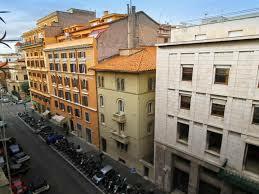 The location of the hotel allows easy access to the sights, and the different centers of Rome. Kosher restaurants are in Bologna Square, or in the Jewish Quarter. 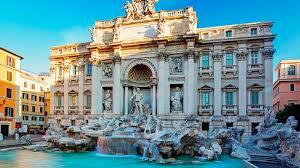 Rome is a choice for travelers who are interested in history, architecture and culture in a general way. This is a popular area for travelers visiting Rome (based on reviews from independent guests). King Roma Center is set in the heart of Rome׳s Old Town, on Via Sicilia 153, in one of the most central and romantic areas of the city, just a few steps from Rome׳s many attractions. The hotel was renovated in December 2014 and allows you to stay in central Rome at affordable prices without sacrificing comfort. The hotel has a pleasant and homely atmosphere. The hotel has 11 renovated and pleasant rooms. The place is suitable for those who want to be in the city center, close to all the attractions without paying a high price. An Italian breakfast will be served between 08:00 and 10:00 at a price of EUR 5 per person - unattended kosher. It is possible to order a kosher breakfast at a cost of € 10 per person. The meal is ordered from an external catering company with a Kosher certificate from Mehadrin Israel Dairy. The hotel has 11 renovated and pleasant rooms. The place is suitable for those who want to be in the city center, close to all attractions for a moderate price. Single room, double room, triple room or 2 double rooms with a transition from one to the other which is very suitable for a family who wants to be together. 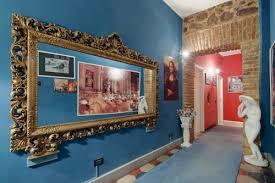 300 meters from Moya Veneto, the most prestigious street of Rome. 350 meters from Piazza Barberini, home to the National Gallery of Ancient Art, showing the most important works of Bernini, Boromini, Rubens and Caravaggio. 400 meters from the Spanish Steps, and Moya Condotti, known for its prestigious fashion stores. 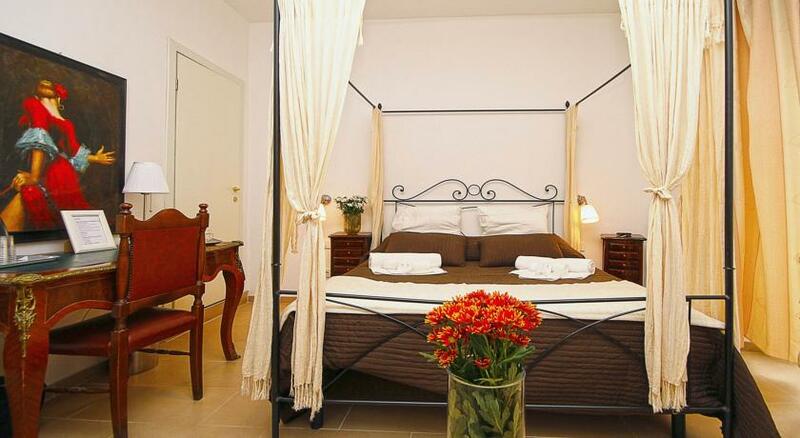 400 meters from the famous Villa Borghese, the largest park in Rome. The house of Lorghese is the gallery where you can marvel at the masterpieces of Raphael, Titian, Correggio, Caravag and beautiful sculptures by Bernini and Canova. 600 meters from the Trevi Fountain, where it is customary to toss a coin for luck. 950 from the Pantheon and Piazza Navona. 1.5 km from the synagogue, at 33 Balbo Street, via cesera, where there are daily prayers and Mikwe for women. 2 km from the Coliseum, symbol of ancient Rome and the historic center. 3 km from the Jewish ghetto. 3.5 km from St Peter׳s Basilica and the Vatican Museums. Villa Borghese is 800 meters away and the Spanish Place are 1 km away. It is 15 km from Rome Ciampino International Airport. Rome, the Eternal City (2 km). The Colosseum, the Trevi fountain... the only thing you will miss in Rome is the time to discover everything! Sunsets from the Palatine Hill in Rome (2.5 km). At twilight, discover the hill where Rome was founded; the Palatine Hill enjoys a magnificent view of the Roman Forum, the Colosseum and the Circus Maximus. Ostia Antica (23.1 km). Among the Roman ruins that constitute the famous architectural site of Ostia Antica, you will discover the ancient theater, the round temple and the forum. 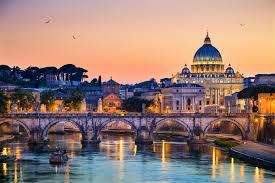 There are direct flights to Rome from Israel that depart daily. Fiumicino Airport is 40 km away. And Ciampino Airport is 30 km away. From the airport you have to take a train and get off at Termini train station, the hotel is about 2 km from the station. In the metro, get off at the station called Piazza dei Spina which is about 300 meters from the hotel.